AlphaMale is a Blackrock, County Dublin based cool, sophisticated, modern and contemporary hair studio for the real man. AlphMale is a place where art meets precision haircuts. I built them a brochure style website which is bold and beautiful, turning your screen into a large, colorful, photo-filled canvas. With the website’s ability to create custom, rotating background images for each section of the website, AlphaMale’s design really grabs their visitors’ attention. 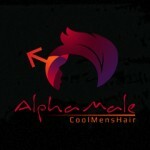 Visit AlphaMale Hair Studio or view more projects.